We are engaged in manufacturing, exporting and supplying Semi-Electric Pallet Truck. The Semi-Electric Pallet Truck features manual pump and self-propelled design. This Semi-Electric Pallet Truck is an excellent economic alternative to expensive battery lift trucks. 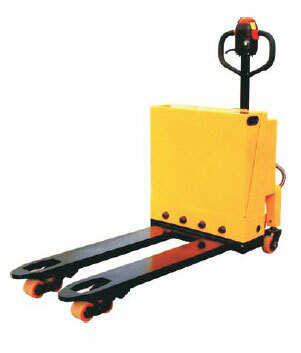 The clients can avail the Semi-Electric Pallet Truck from us at the market leading price. Features regular pallet truck pumping action combined with smooth start electric throttle movement.